Frühstück gibt es den ganzen Tag! 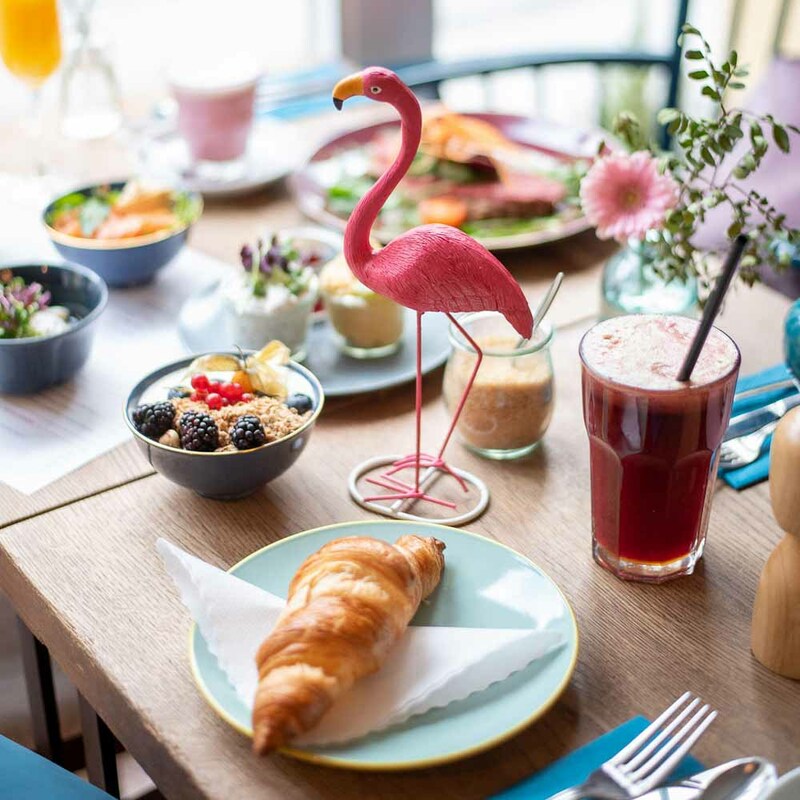 The just-redone interiors of the café Sets has for over ten years already offered a stage of sorts – not only to its loyal customer base in Charlottenburg. The protagonists are the “sets” – breakfast plates that can be mixed and matched with three to five items of choice. 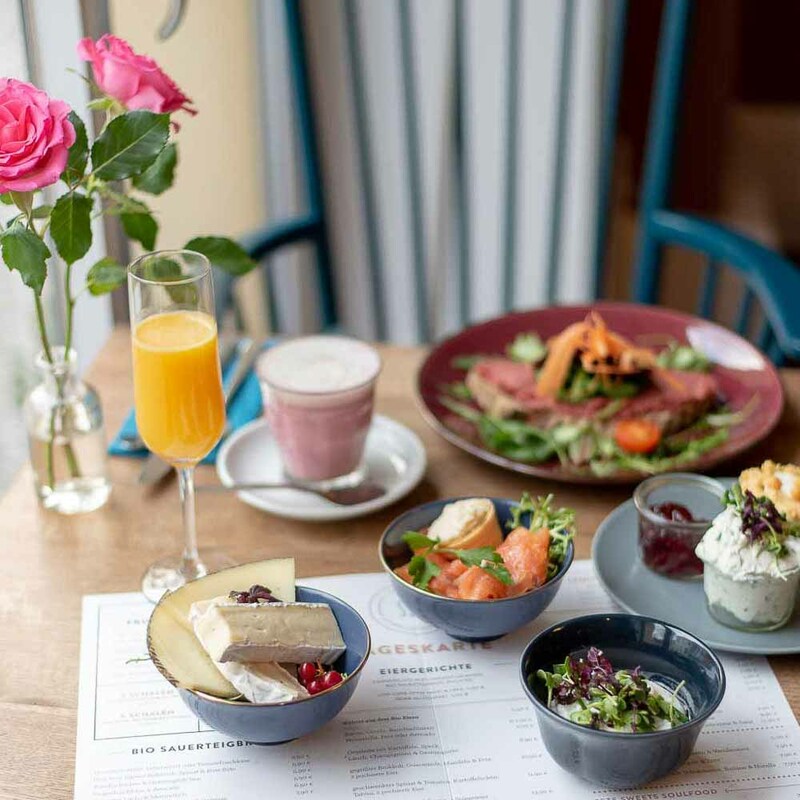 The little combinable glasses are filled with fruit, eggs, and yoghurt with granola, or turkey breast, brie and manchego cheese. The slices of sourdough bread, piled high with ingredients like beetroot-ginger spread, tuna salad, liver pâté or goats cheese and avocado, are something Sets is just as well known for. 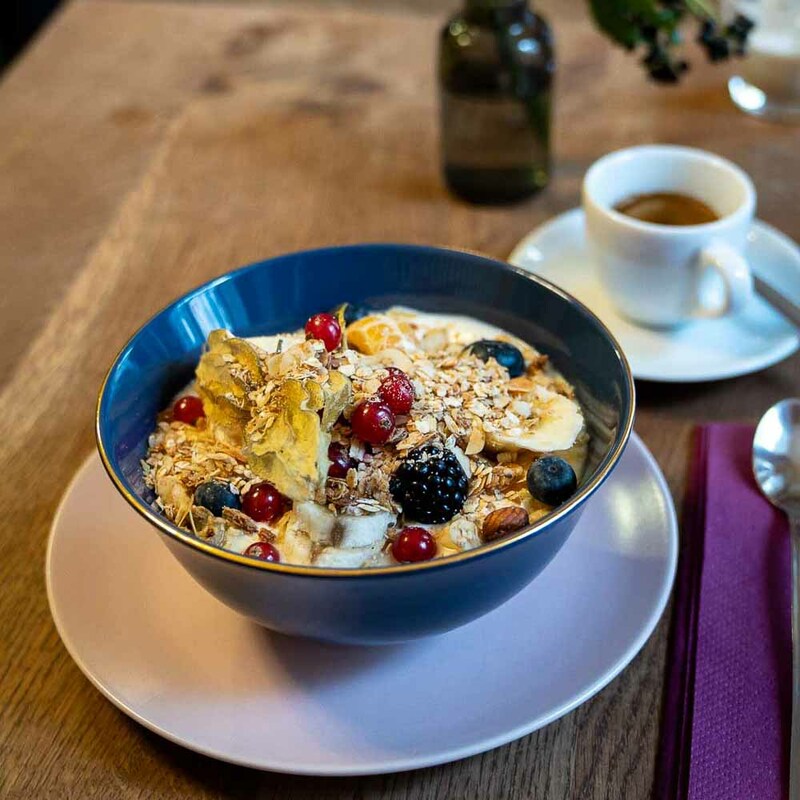 There is sautéed spinach or grilled broccoli with poached eggs, quinoa salad, different kinds of club sandwiches, bircher or paleo muesli, açaí bowls and from 4 p.m. onwards, tarte flambée. At Sets, the freshly-baked Belgian waffles come as the classic version or topped with warm raspberries and vanilla sauce, or with dark chocolate sauce, banana and Nutella. 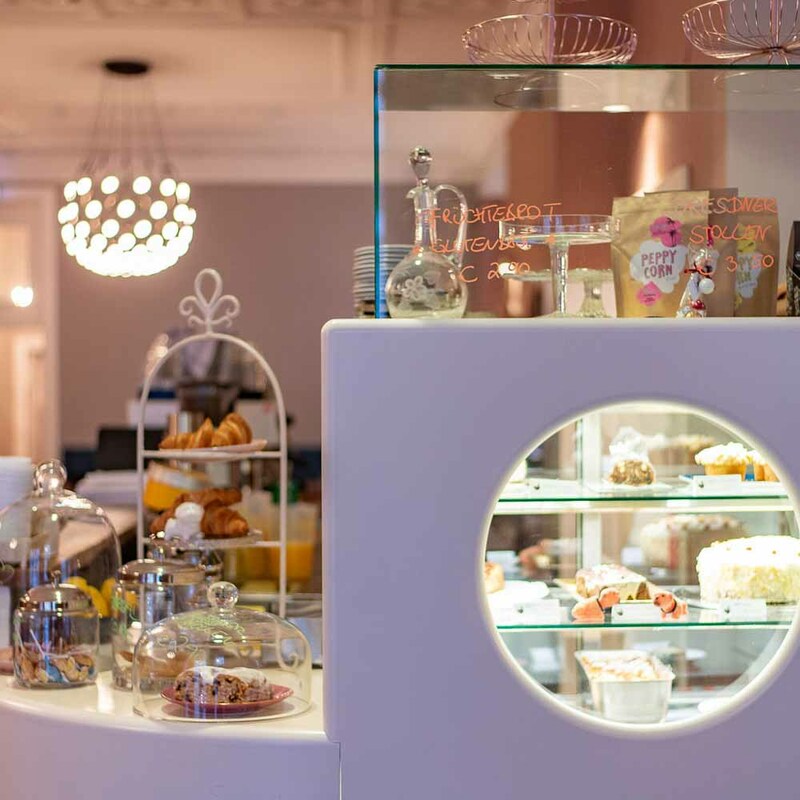 By the counter, an enticing selection of homemade cakes awaits, of which the classic “Kalter Hund” should definitely be tried. 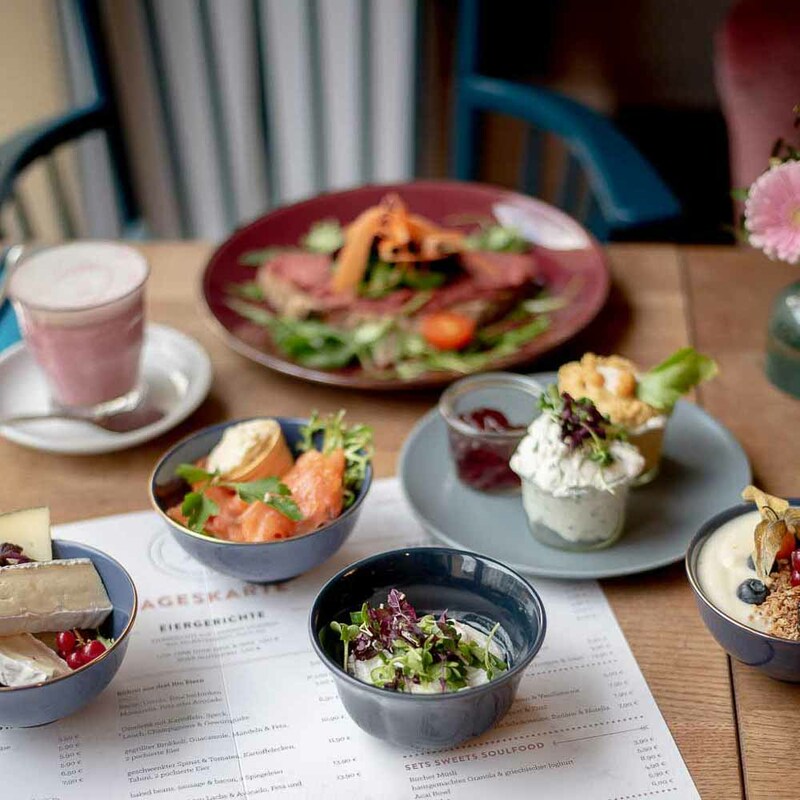 Starting spring, Sets is going to start offering its down-to-earth dinner menu until 10 p.m., including wiener schnitzel or a sourdough sandwich with black pudding. 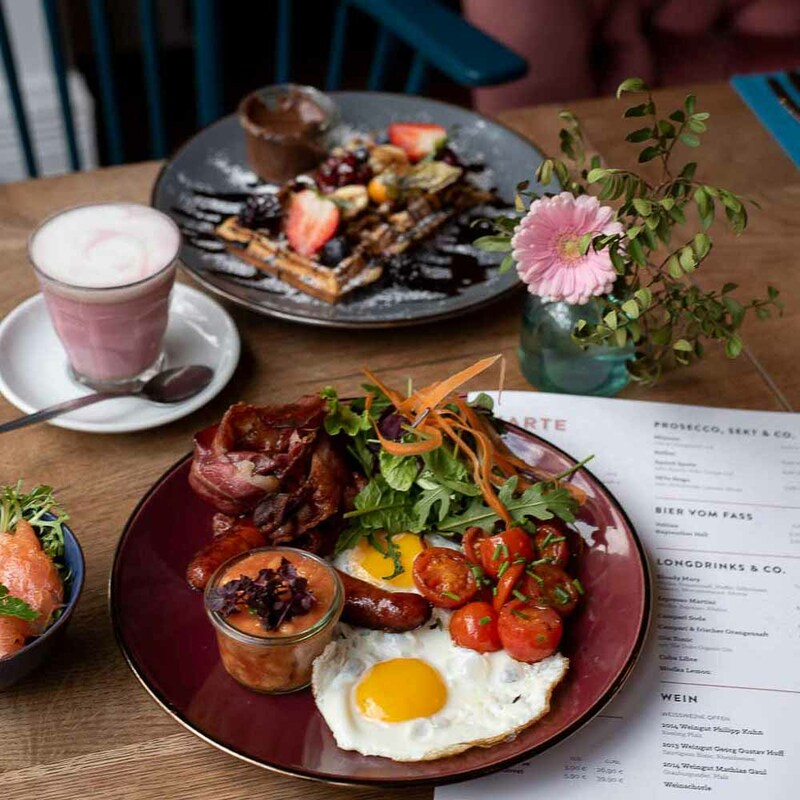 And for those who can’t get enough: the café is extended by two beautifully quiet and cosy bed & breakfast rooms with terraces, which can be rented by day or for a week.